SPOKANE — One of Washington state’s best winter recreation areas is hiding in plain sight of downtown here. 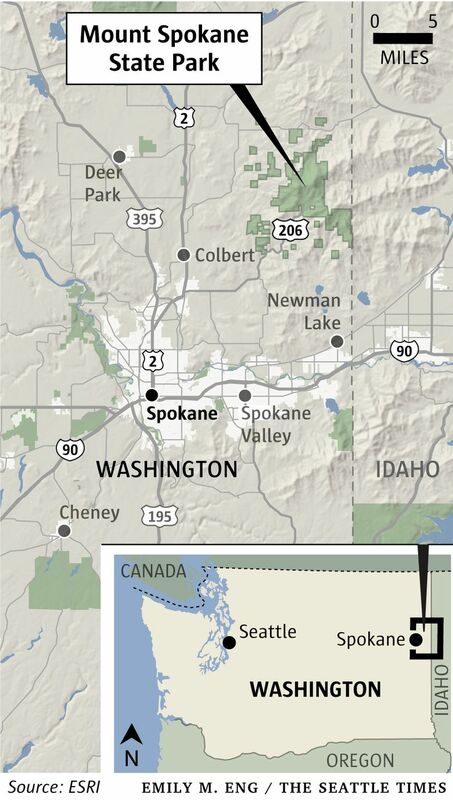 Mount Spokane looms above this metro area of 500,000 residents. To Spokane, the mountain once called “Baldy” is an everyday fact of life, but to the west side of the state, it’s largely unknown, offering the kind of outdoors access that Seattleites would kill for. 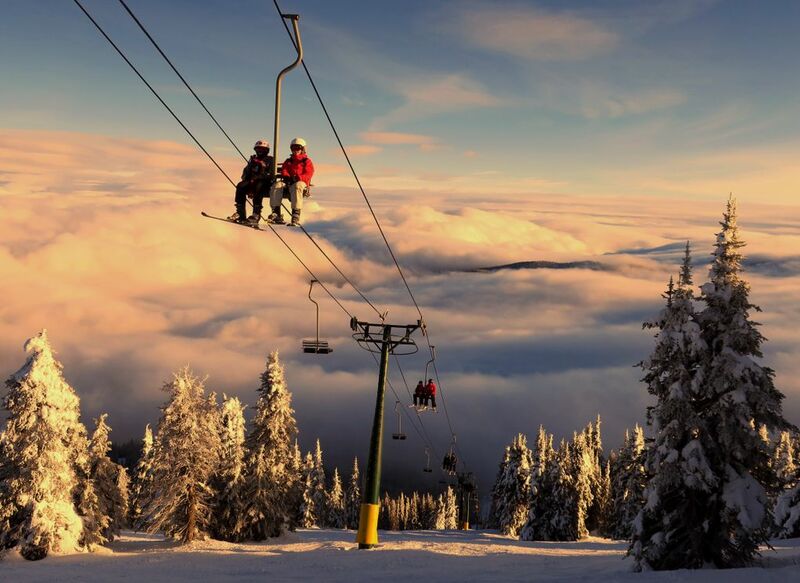 On the slopes of Mount Spokane, you’ll find Washington’s largest state park, with almost 14,000 acres. 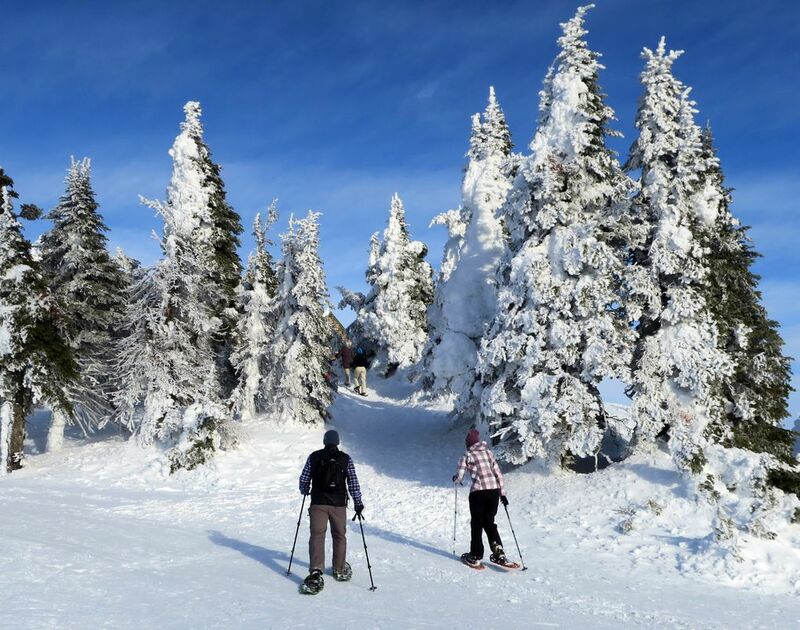 Within its boundaries, you have a high-quality ski area and some of the best Nordic trails in the state. Mt. Spokane Ski and Snowboard Park has 1,425 acres and 2,000 feet of vertical, comparable to the footprint of Stevens Pass ski area. Its top elevation (5,883 feet) is almost exactly the same as Stevens’ Cowboy Mountain at 5,845 feet. Both areas have robust night skiing operations. The difference? Mount Spokane receives far fewer skiers because of its smaller metro area, said John Gifford, president of the Pacific Northwest Ski Areas Association, an industry trade group. Alpine skiing at Mount Spokane feels like a throwback. All five of the resort’s double chairlifts were made by Riblet Tramway Co., once the largest chairlift manufacturer in the world. The now-defunct company was based in Spokane. At the top of the mountain, you’ll find a striking stone building that’s on the National Historic Register. 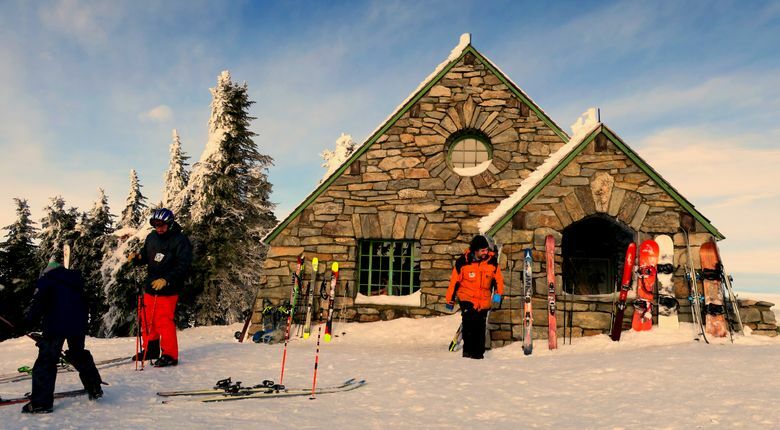 The 1933-era Vista House is still in operation, serving as a mountain-top warming hut where skiers and snowshoers can bask by a roaring wood fire. Most of the mountain’s ski runs (60 percent) are rated as intermediate, but you will find good advanced runs on Chair 1, the original lift at the ski area, and on the north-facing Chair 4 on the back side. Next year, the ski area will get a big upgrade. A new $2.5 million triple chairlift will be built on Mount Spokane’s northwest side, adding 279 acres and seven runs, a game-changer for the resort, general manager Brad McQuarrie said. The new runs will be the longest in the ski area and will track 1,500 vertical feet, McQuarrie said. “It will produce quite a bit more capacity, which is something we need,” he said. Alpine skiing is just a piece of what you can do on Mount Spokane in winter. The state’s very best Sno-Park-accessed cross-country skiing is on the mountain, arguably as good as what is offered in the Methow Valley. “I’ve skied all over the U.S. 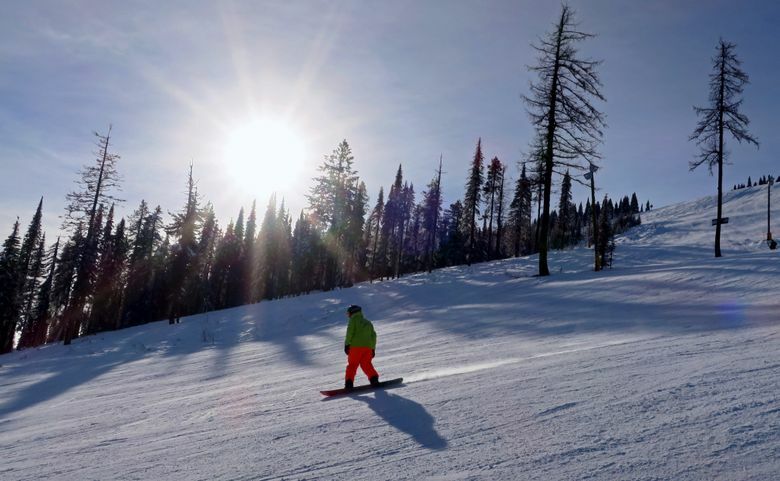 I would put the terrain at this place up there with anyone,” said John Drumm, part-owner of Fitness Fanatics, which operates a rental trailer at the Mount Spokane Nordic area. Unlike the Methow Valley, Mount Spokane’s 67 kilometers of trails are at high elevation. The parking lot is at 4,200 feet, with trails snaking miles through the state park and onto land owned by Inland Empire Paper Co. and even crossing the border into Idaho. “For the most part, our temps and the quality of snow are better than the Methow,” Drumm said. Currie, author of “Mount Spokane State Park: A User’s Guide” ($14.95, Gray Dog Press), said visitors are “just blown away by our quality” when they discover this fairly unknown trail system. For the cost of an annual Sno-Park and grooming permit ($80), skiers can get unlimited access to the Nordic trails at Mount Spokane. On a weekday in early January, the Nordic trails were groomed and in excellent shape. A trip onto “Outer Limits,” the system’s longest trail at nearly 25K, took most of the afternoon, offering gorgeous views of Idaho’s Spirit Lake on delightfully uncrowded trails. 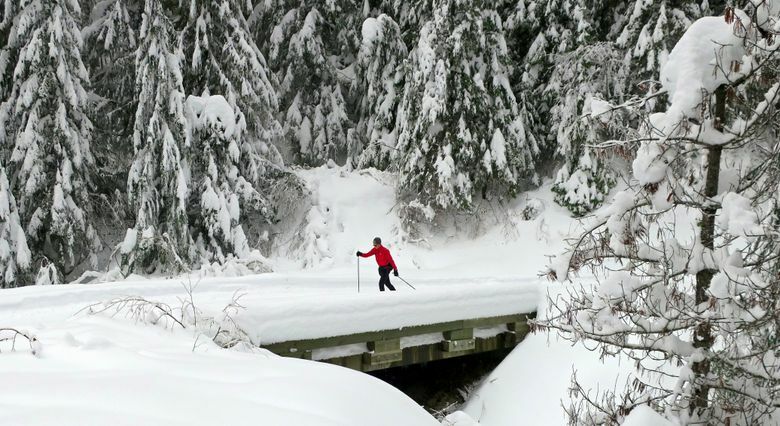 Alpine and Nordic skiing are only part of the winter recreation story at Mount Spokane. Snowshoeing has exploded as an activity over the last five years, said Jerry Johnson, on-site ranger at Mount Spokane State Park. “We’ve been seeing a big increase in snowshoeing every year,” Johnson said. Proximity to Spokane is part of the reason, he added. “Spokane is an outdoors mecca. You can be up here in 45 minutes,” Johnson said. Several routes travel around and up the mountain. One of the most popular starts at a snowshoe-specific lot 1.7 miles inside the state park boundary at a hairpin corner. The route goes 1.5 miles to a volunteer-built warming cabin and strong climbers can continue, ascending all the way to the Vista House at the summit. One sunny day in January, dozens of snowshoers had done just that and were lounging in the Vista House, joined by a boisterous group of alpine skiers and snowboarders. It was a fun scene — one that repeats itself throughout winter at Mount Spokane. From downtown Spokane, drive east on Interstate 90 to Argonne Road, Exit 287. Drive north and follow the signs to the state park entrance. Mt. Spokane Ski and Snowboard Park operates Wednesday-Sunday and holidays through early April. Lift tickets: Adults, weekdays, $44; weekends and holidays, $58. Night skiing: Open Wednesdays-Saturdays into mid-March, $20. Sno-Park permits available at the park entrance and the Fitness Fanatics rental trailer at the Nordic area. Cost daily: $30 ($20 if you have an annual Discover Pass). Annual Nordic Sno-Park and grooming passes: $80. Snowshoeing annual pass: $40. 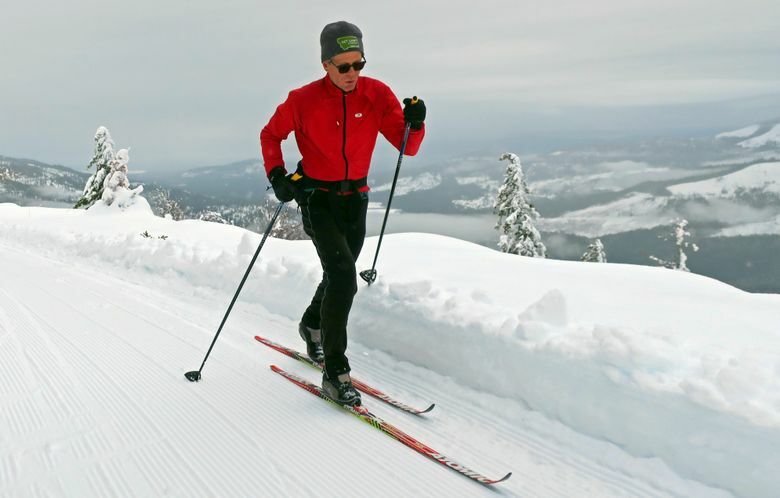 • Rental gear: Fitness Fanatics has high-end skate and classic cross-country rentals on site at the Mount Spokane Nordic area. For information: 509-922-6080. John Nelson is a freelance writer based in Seattle. Read his blog at SkiZer.org.